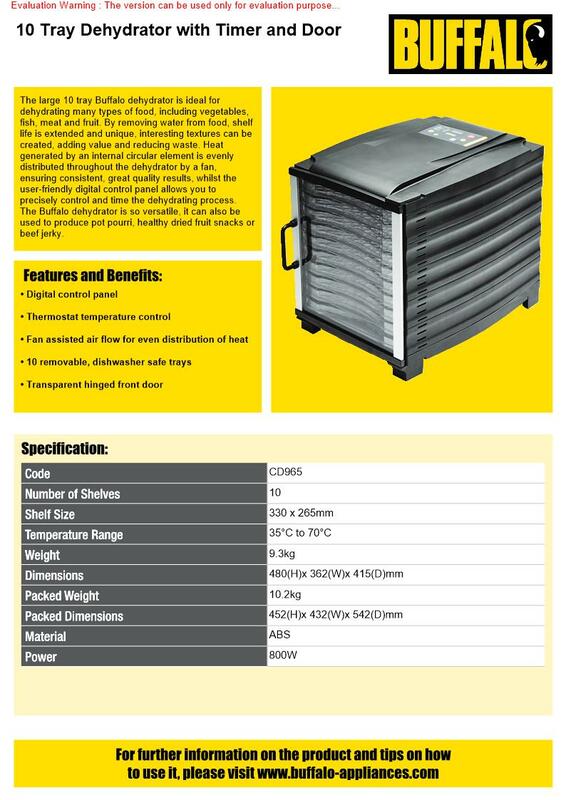 Fully commercial, the large 10 tray Buffalo dehydrator is ideal for dehydrating many types of food, including vegetables, fish, meat and fruit. By gently warming food, is removed, shelf life is extended and unique, interesting textures can be created, adding value and reducing waste. 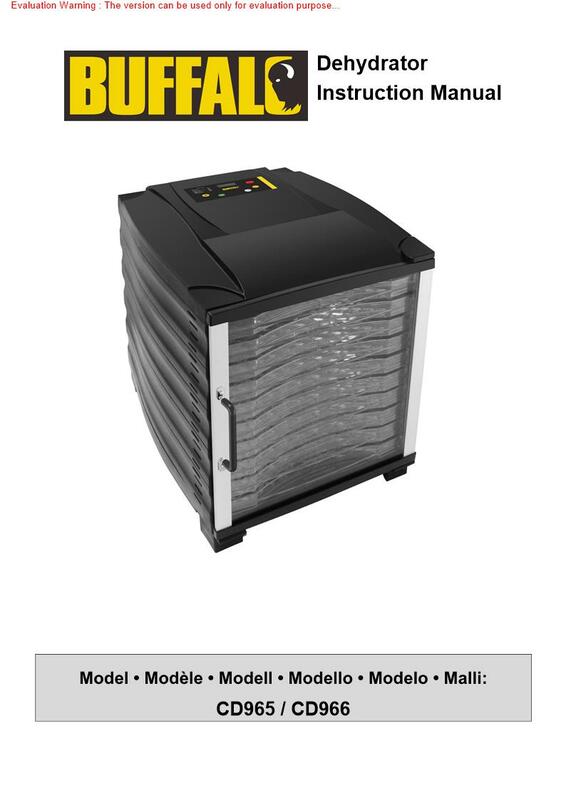 Heat generated by an internal circular element is evenly distributed throughout the dehydrator by a fan, ensuring consistent, great quality results, whilst the user-friendly digital control panel allows you to precisely control and time the dehydrating process. The Buffalo dehydrator is so versatile it can also be used to produce pot pourri or beef jerky.